This short book is a photo guide to the WW1 Western Front and contains a collection of private and unique photos of most of the most popular spots but also many less visited locations. 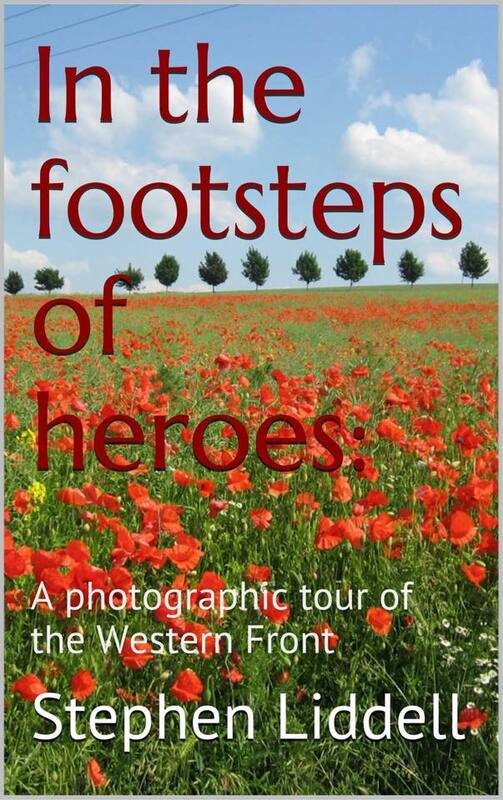 In the footsteps of heroes was photographed during 2014, a century since the start if World War One and an ideal guide to Lest We Forget: A Concise Companion to the First World War. The book visits many of the most famous battlefields including Vimy Ridge, Passchendaele, The Somme, DeVille Wood, Beaumont Hamel and the Lochnagar Crater plus some bunkers and command centres, trenches, underground tunnels. As well as the battlefields themselves there are photos of many of the memorials to the British and Commonwealth fallen. These include Vimy, Thiepval, The Menin Gate, the iconic Newfoundland memorial which sharply contrasts with the beautiful South African memorial. Of course, many visitors to Belgium and this part of France spend much of their time visiting war cemeteries and In The Footsteps of Heroes includes a variety from the massive Tyne Cot cemetery to some of the tiny isolated cemeteries on the Serre Road. Finally, we get to see some of the much fought-over towns of Ypres, Arras and Albert and a few other sights.